We’re going to kick off something a little different today! Over the past couple of years, I have had numerous requests to focus on an area of interest for so many professionals in the hair and beauty industry. And that is how to successfully balance being a working parent. Being a father of a rascalious 1-year-old, I am thrilled to jump into this area. I have put this article together from interviews with salon owners as well as some of my experiences at home. And this article is primarily designed to kick start a conversation rather than teach you something you may already know. This is an area that a lot of us have to quietly power through, so I would love to hear your tips and stories. I hope that together we can start a fun dialogue on what is pretty much the most important thing in our lives and the reason behind why we work so hard, day in & day out… Our children. You are up to your eyeballs with work. It’s not that you want to, it’s that you have to head into the salon and battle through your priorities so that the rest of your week/month is actually manageable… And that’s when it hits you: your child can’t go to creche! This could be for a number of reasons: your toddler catches an ear infection, a dreaded chicken pox breakout in the creche, etc. With no other option, you must stay at home and take care of your child. But at the same time, you have to get work done. This begs the age-old question: how can you successfully work from home with your child around? Being a working parent can be immensely rewarding, but my goodness, it has its adversities! Let’s see if we can soften this workload, shall we!? Not all working parents have the luxury of having an office at home or even have access to a spare room that doubles as an office. But it is important to create a workspace and lay it out just the way you need it to be. And once your workstation is ready, it’s time to prep his/her play station. There have been times where I had to work from home while watching a newborn – he’s now starting to toddle. My work had a deadline, so I just had to get it done. The only thing is that I couldn’t actually make it back to my laptop for Lucas required to be in my arms for nearly the whole day. So I got resourceful! Instead of letting the situation get the best of me, or getting frustrated at the little pup for doing his job – being my baby is his job after all, – I simply redesigned how I was going to work things out. Sitting in an IKEA rocking chair with an iPhone in hand, I managed to send emails, order material and write up all the content I needed from my phone. I used my email apps – for emails – and my Google Drive app – for writing content – and the internet for ordering everything else. All done right from my phone. > Now, was it a bit harder than using the laptop? Absolutely! > But did I get everything done that I needed? Yes indeed, I did! So how can we translate these things directly for salon owners? Well, for the Phorest Family, you can do a lot of your work using your phone or iPad and the Phorest Go App. It’s like having a mini version of the system in the palm of your hand. I’d recommend that you try to prioritise what you actually can achieve when you are stuck in this spot and try not to get too frustrated about what you can’t achieve. Once your pup is down for the night, then you can get back to the other things you couldn’t do on your phone. I’m sure parents will know this point already. But just in case it may have slipped by, or if you are about to become a parent and looking for some swift, concrete advice, one of the biggest distractions your child has is….. YOU! That’s right – I bet there are loads of times when your child is content playing on his/her own. But you decide to check on them to make sure. So you shoot a quick look their way. And guess what happens?! They catch your gaze… And here they come! I know it’s incredibly hard not to look. Personally, when I’m at home in the kitchen, I can hear my son babbling away and banging things behind me (wooden spoon meets metal pot is his current favourite maneuver). But one cheeky glance is all it takes for him to drop what he’s doing to scoot over my way! So the best thing I can do in that situation is just not to look… easier said than done, right?! Let’s face the facts. Sometimes, you’re just not going to win the ultimate battle of attention with your Pride & Joy. Sometimes they want your attention, and you know what… We just have to give it to them. But there is good news here for the working parent: it actually will work out better in the long run. A quick 15-20 minutes on the floor, playing ‘The Hat Game’ or ‘Which Bucket Is The Duck In?’ can satisfy them enough for you to slip back to your work and crush your to-do list. We don’t always get to schedule when we work from home; everything can change unexpectedly. So when a working parent is forced to stay in with their nipper, it can be frustrating. But thinking about the negatives of the situation is only going to make it worse. It may be difficult, but shifting the mindset you put yourself into can really help you get through the day. As you know, your child responds to every emotion you put out. When you’re happy, the chances of them reflecting this feeling are heightened. But when you are showing stress and discouragement, then this will also rub off on your child. Meaning: You are setting yourself up for a tougher time right from the start. I know it’s a tough thing to overcome. But if you can accept your situation, embrace the tasks at hand and (dare I say it) look at the positives, then your day will 100% run much, much smoother. Hope this helps! And I don’t want this to simply be a one-way conversation. I’d love to hear what kind of tips you might have as a working parent who has to work from home. 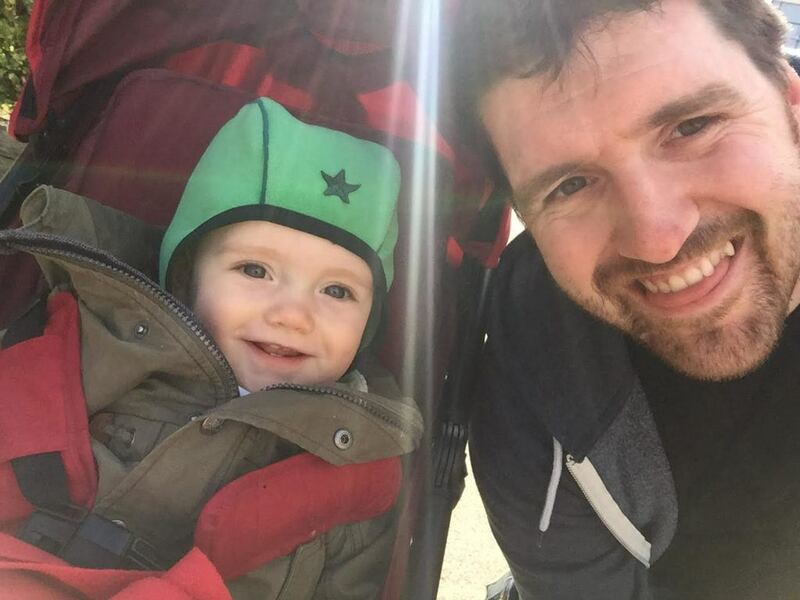 Your advice not only will help me on my next Daddy Day Care Adventure… But will help our other working parent readers as well! So please, drop your advice in the comments below!